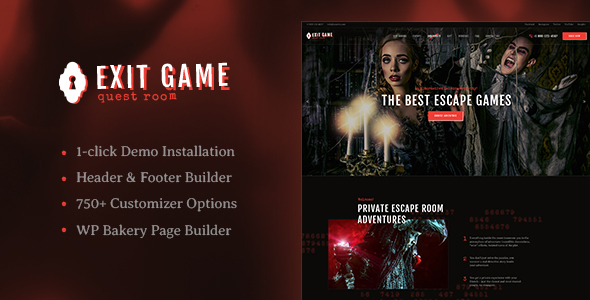 Exit Game is a new WordPress Theme to serve as a website for a real-life room escape, quest game, puzzle room, and other entertainment activities for family and friends. This adventure can be booked via the Booked Appointment plugin that the theme is compatible with. Exit Game comes packed with rooms page, blog page (of various styles), booking page, reviews, gallery, FAQ, etc.